Weekend Historical Happenings: 2/2/13 - 2/3/13 ~ The History Girl! On Saturday at 2:30 pm, the Elizabeth Public Library will host a program entitled "The Belcher Ogden Landscape: The Underground Railroad in Elizabeth," in the Main Library Auditorium at 11 South Broad Street in Elizabeth. Michael T. Simon, a native of Elizabeth and currently an attorney in Mountainside will speak on the topic which will include images and oral histories. Paul Mattingly, President of the Historical Society of Elizabeth, commented, "The Georgian mansion is so often regarded for its colonial history and associations with luminaries of the period, such as Alexander Hamilton, Marquis de Lafayette and George Washington, Mayor William Peartree Smith and Governor Aaron Ogden. Generally, Underground Railroad stations do not have such lustrous pedigrees, but the Belcher Ogden Mansion does. This presentation includes images, stories from an oral tradition that documents a tunnel from the house to the Elizabeth River, and promises not to repeat old material, but to contextualize the Underground Railroad." Light refreshments will be provided. Please contact Jose Ruiz-Alvarez, Head of Reference at jalvarez@elizpl.org, or 908-354-6060, x-7223, or Nancy Smith, nsmith@elizpl.org, for more information. Directions are available on the library website at www.elizpl.org/hours&directions.html. The Fleetwood Museum of Art and Photographica is pleased to present an exhibition, "Dependent on Chance: The Magic of Smoke Trails" by Vivian S. Bedoya. The exhibition features abstract photographs created by photographing smoke. The images, ethereal formations rendered in both color and black and white, are stunning examples of this arduous photographic process. This unique exhibition is on view through the end of January. Ms. Bedoya is a writer and photographer residing in Somerset County. She currently has four works of art in the Gallery 27/7 Art on Traffic Control Boxes throughout Somerset County. The Fleetwood Museum of Art and Photographica is located inside the Vermeule Mansion located at 614 Greenbrook Road, North Plainfield, New Jersey 07060. The Museum is open Saturdays from 10:00 am - 4:00 pm and the second Sunday of every month, 1:30 - 4:00 pm. On Saturday, Martha Burk discusses her book, Your Voice, Your Vote, the Savvy Woman's Guide to Power, Politics and the Change We Need at the Alice Paul Institute's Annual Meeting on Saturday at 1:00 pm. The book explores what is at stake for women the political arena, not only in the recent election, but in coming years. Burk is a political psychologist and women's issues expert and co-founder of the Center for Advancement of Public Policy. The program also includes Joanne Schwartz and Aimee Belgard, Alice Paul Institute members who won seats on the Burlington County Board of Freeholders in November.Admission costs $10; admission with book $20. The meeting will be held at Moorestown Friends Meetinghouse, 118 East Main Street, Moorestown. For information or to register, contact the Alice Paul Institute at 856-231-1885 or visit www.alicepual.org/events. Immerse Yourself in Tradition on Saturday evening at the 10th Annual Groundhog Day Dinner in Ewan. Partake in a fun filled night that dates back to the early 1900s. The Harrison Township Historical Society's 2013 Groundhog Day Dinner and Silent Auction is set for Saturday at 6 pm, at Ewan Fire Hall on Ewan Road. This annual event features "Down Jersey" sausage, sausage gravy and biscuits coleslaw, mashed potatoes, candied yams, fried apples, green beans, and a dessert buffet. The event is a revival of an old Richwood tradition. The first local Groundhog Day dinners took place about a century ago. Local farmers belonging to the Richwood Men's Bible Class made the sausage and prepared the dinner for the entire church. Several years later, the society's board decided to revive the tradition. This is the 10th year the event has been held.In addition to the home-cooked menu, the program includes an emcee decked out in tails and top hat and a popular silent auction. All proceeds benefit the Society's exhibitions and educational programs at the Old Town Hall Museum, located in the heart of the Mullica Hill Historic District. Tickets for the event are $15 and available at the Amazing Grace Resource Center, 33 South Main Street in Mullica Hill. Advance purchase recommended because seating is limited. For further information about upcoming events or how to get involved, please visit www.harrisonhistorical.com or call Old Town Hall at 856-478-4949. 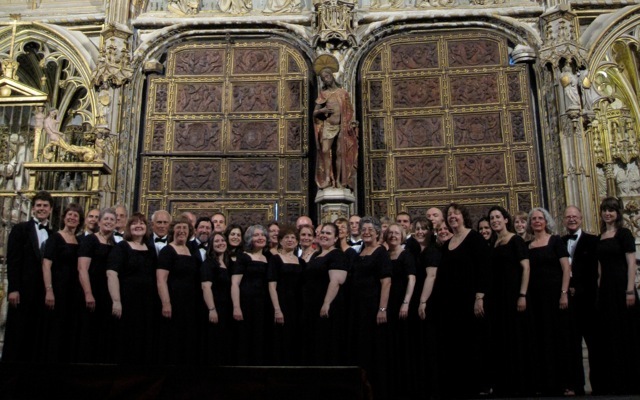 Celebrate the month of Valentine's Day with a choral performance "Love and Peace" by Harmonium Outreach Chorus at 4:30 pm on Sunday at Macculloch Hall. 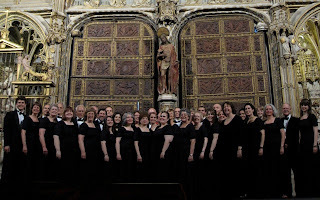 The Harmonium Outreach Chorus is a subset of the 100-voice Harmonium Choral Society, an auditioned chorus with a mission to transform communities through music and including many professional church musicians and music educators among its members' wide range of vocations. Directed by Dr. Anne Matlack, the performance includes both period works and other songs related to the theme and is presented in conjunction with the current exhibit in the main gallery at Macculloch Hall Historical Museum. On display are vivid examples of the antique Oriental rug collection, complemented by textbook examples of fine porcelain, silver, glass and furniture collected by museum founder, W. Parsons Todd. "A Fine Collection: Treasures from the Vault" has a perimeter layout in the first floor gallery which leaves the center of the room open for a series of speakers and musical programming. Tickets for Sunday program will go on sale at 1:00 pm on the day of the program - no advance sales. A separate ticket ($12) is required for the musical programs; discounted ($10) for members, seniors, students and those who purchased a museum tour ticket that afternoon. House tours (regular admission applies) take place throughout the afternoon, the last tour leaves at 3:00 pm. On program days the upstairs galleries will remain open until 4:30 pm. The "A Fine Collection" exhibit will close at 3:00 pm in preparation for the program. 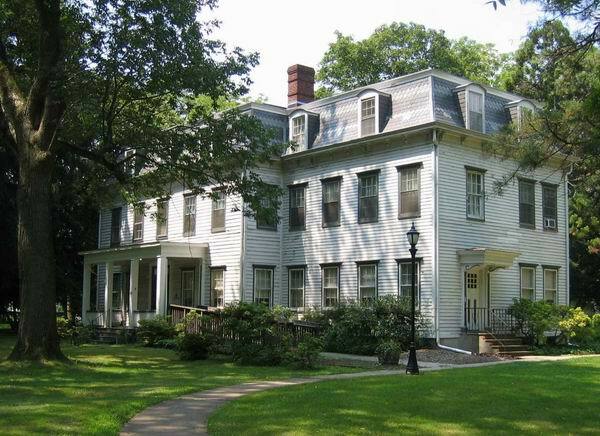 Macculloch Hall Historical Museum preserves the history of the Macculloch-Miller families, the Morris area community, and the legacy of its founder W. Parsons Todd through its historic site, collections, exhibits, and educational and cultural programs. 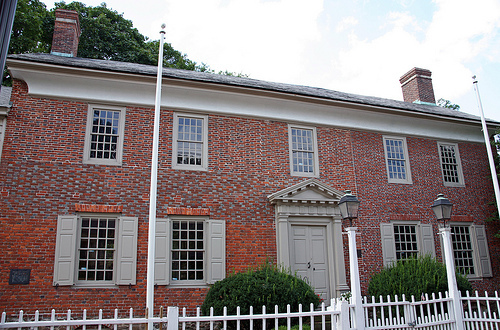 It is located in the heart of Morristown's National Historic District. The Museum is open for house and exhibit tours on Wednesdays, Thursdays, and Sundays from 1:00 to 4:00 pm. The last tickets for admission are sold at 3:00 pm. Admission is $8 Adults; $6 Seniors; Children 6 - 12 years $4, Children 5 years and under and Museum members are free. For information, call the Museum weekdays at 973-538-2404 or visit www.maccullochhall.org. Macculloch Hall Historical Museum is located at 45 Macculloch Avenue, Morristown, NJ 07960. On Sunday at 1:30 pm, the Piscataway Historic Preservation Advisory Commission, Piscataway Township Historic and Heritage Society, and the Fellowship for Metlar House will celebrate 345 years of Piscataway history at the township's annual Founder's Day at the Piscataway Township Municipal Building, 455 Hoes Lane, Piscataway, NJ. This program is open to the public. The special guest speaker is Richard Veit, Professor of Archeology, who will present on the "British Encampment in Piscataway." Piscataway Township, founded in 1666, is the fifth oldest municipality in New Jersey, and one of the fifty oldest towns in the nation. At the Farmhouse kitchen, discover what seasonal foods are being prepared on the antique wooden stove. Stop by the Visitors Center and marvel at the Transportation Exhibit. See Mr. Foster’s Rockaway carriage and Caroline Foster’s Model “T” Ford! Robert L. Silverman, educator, lecturer, and historical reenactor will explore New Jersey's role in the War of 1812 in a slide program entitled "The Forgotten War Along the Jersey Shore" at the Jewish Heritage Museum of Monmouth County on Sunday at 1:00 pm. Admission is $5 for museum members, $7 for non-members. New Jersey provided over 6,000 troops for the nation's land campaigns, but the state's prominence in the war rested upon the naval battles that took place along its Atlantic Coast. Mr. Silverman will accompany his illustrated show with a vivid retelling of the most absorbing of these battles. The museum, which is handicapped accessible, is located at 310 Mounts Corner Drive in Freehold Township. For more information call 732-252-6990 or visit www.jhmomc.org.